‘Hallo!’ said Piglet, ‘what are you doing? ‘I shall have to wait until I catch up with it,’ said Winnie-the-Pooh. Among the many worlds which man did not receive as a gift of nature, but which he created with his own spirit, the world of books is the greatest. The world into which we are born is brutal and cruel, and at the same time of divine beauty. Which element we think outweighs the other, whether meaninglessness or meaning, is a matter of temperament. I must declare from the outset of this short essay on the Jungian concepts of individuation and archetype, that I am an avid reader. I began reading early and for more than fifty years I have carried a book with me always; as a companion, a distraction, a source of inspiration, and at times even as a guide in the more troubled periods of my life. 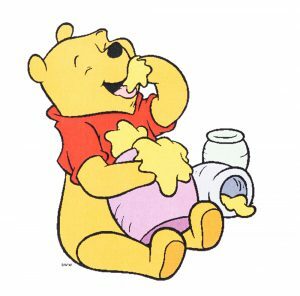 Of all the stories I have read, Winnie-the-Pooh (Milne, 1926) stands out as an exemplar of the journey to psychological wholeness that C. G. Jung called individuation. Jung suggested that individuation is a process of maturation that has as a fundamental aim and requisite the character of an “affirmative response to life” (Le Grice, 2013, p. 9). It is this positive reaction [even in the face of pain and suffering], that ultimately leads to a deeper understanding of our lives, thus developing our capacity to engage in a meaningful, or as I prefer to say, meaning filled existence. Winnie-the-Pooh, as the main character in British author A. A. Milne’s remarkably popular book, possesses a temperament and attitude to life that is one of an unerring “yea-saying” (Le Grice, 2013, p.9). Pooh is a bear who, although described by himself on occasions as being “a Bear of No Brain at All,” (Milne, 1926, p.38) ironically has been studied by neuroscientists, literary critics, psychologists, Taoists, and even ecologists since his creation by Milne in 1926. Shea, Gordon, and Smith (2012), a group of neurodevelopmentalists, recently studied Pooh and his companions as examples of DSM-IV pathological disorders such as Attention Deficit Hyperactivity Disorder (ADHD) and Obsessive Compulsive Disorder (OCD). Heneghan (2013), an environmental scientist investigated whether “there is more to this bear of very little brain than meets the eye” (para. 4) by suggesting in his essay The Ecology of Pooh, that Pooh might inspire us to take up again the ancient and revolutionary tools of walking and listening as a means of reconnecting with nature. In this paper I will add the Jungian lens to previous scholarly research of this timeless book, building on Jung’s suggestion in The Spirit in Man, Art, and Literature (1966), that it is the non-psychological novel that offers the richest psychological illumination (p. 88). Viewed from a Jungian perspective Pooh, Piglet, Eeyore, Rabbit, Tigger, Christopher Robin, Kanga, and Roo become aspects of a single psyche comprised of universal archetypes. This “collective a priori” beneath the personal psyche, that is the pre-existing repository of patterns as archetypes, has distinguishable attributes which form part of the psychological substratum of the human mind, in what Jung named the collective unconscious (Jung, 1989, p. 161). 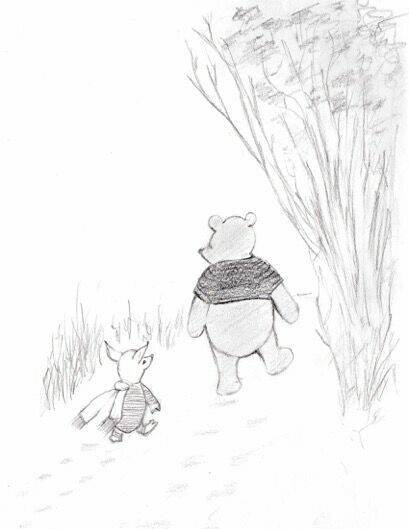 From a psychological viewpoint, we can see The Hundred Acre Wood, the enchanted woodland home of Milne’s characters, as a vessel for the psyche, inhabited by archetypal patterns, which include the shadow, the anima and animus, the child, the Great Mother, the hero, and the Self. The human psyche transforms and evolves throughout a lifetime as the relationship between the ego and the contents of the unconscious unfolds (Jung, 1989, p. 209). The collective unconscious consists of “latent predispositions towards identical reactions” (Jung, 1967/1978, para. 11), which carry certain core principles or archetypal images from the psyche that have been repeated in myths and stories throughout human history. It is the craft of writers, such as Milne, to translate these universal energy structures into characters that leap from the page giving us the opportunity to glimpse, if only fleetingly, both the deeper potentialities of our own individuation and those of others. Here I will endeavor to interweave the influence that more introverted Eastern traditions such as Taoism had on Jung’s work by discussing Pooh as the embodiment of the Taoist principle of the Way; the movement towards unity of the two — life (Yang) and consciousness (Yin). In the context of the Jungian point of view, it is only fitting that I pass these moments of reflection over to Pooh himself, as he is already on the trail, “tracking something” (Milne, 1926, p.32), and he has a way with words. Perhaps my return to Winnie-the-Pooh, a companion throughout my life, is a means of investigating a complex psychological unfolding, through a recursive or circular action which provides a means of reflecting on my own individuation process — each revisited story becoming a measure of my psychological maturation. This circling or “circulation” is an example of circumambulatio; what Jung described as not only a movement in a circle, but also “a marking off of the sacred precinct and, on the other, fixation and concentration” (Jung, 1967/1978, para. 38). This preoccupation is “nothing less than self-knowledge by means of self-brooding” (CW 13, para. 39). I place this important marker of circularity and the individuation process here, as it echoes English poet, literary critic, and philosopher Samuel Taylor Coleridge’s statement: “That must thou make thyself to become…for the highest human reason reachieves at the end of the scale the unity of the beginning, but in a functioning that incorporates all the intervening stages of differentiation” (as cited in Abrams, 1971, p. 270). In the inner world of the human psyche markers help us to create a boundary or frame that protects “the unity of the consciousness from being burst asunder by the unconscious” (Jung, 1967/1978, para. 47). As we move through the individuation process these markers are continually moved as our consciousness expands and contracts, is made and remade, through a series of disintegrations and reintegrations. It is as if the shape of our psyche constantly transforms and the outermost markers attenuate accordingly as we bring to consciousness the contents of the collective unconscious filtered through our own subjective experiences. The boundaried world of Pooh and his companions is encompassed within the borders of the Hundred Acre Wood, a container for psyche far from the constraints of the outside world. While there is much of the Wood that is known to its occupants, there is also much that is unknown. Here we find another marker of the human psyche; the distinction between what is directly accessible to our consciousness and that which resides in the unconscious. Jung called this unknown or repressed aspect of the unconscious the shadow, and it often appears in myth and modern literature as a beast, a monster, or as a shadowy form which is dark, threatening, and indiscernible. In Winnie-the-Pooh, Milne touches on this shadow by situating the darker, unexplained aspect of the psyche in the centre of the densest part of the Wood, and by creating the elusive Woozle, an animal never seen, but suspected to be “hostile” (Milne, 1926, p. 34). Jung (1989) wrote that “a polarity underlies the dynamics of the psyche” (p. 350). There is a tension that exists between the opposites of the poles — we can imagine night and day, the Taoist consciousness and life, yin and yang, light and darkness. In psychological terms if we return to the circularity described earlier, we find that this psychological circling becomes a “movement in a circle around oneself” as the “poles of light and darkness are made to rotate” (Jung, 1967/1978, p. 27, CW 13, para. 38). Pooh Bear’s House is located on the Western edge of the wood, while Christopher Robin, the only human in the book, lives on the Eastern edge. These two aspects of psyche are diametrically opposed in their positioning — the young boy representing a stage of development at the beginning of childhood. He has a burgeoning ego that has begun to articulate rational thought and an understanding of some of the rules of the adult world. His “instinctive spontaneity” (Le Grice, 2013, p. 42), although still present, is beginning to disappear, and he functions in the psyche as the conduit to and interpreter of the outside world. He could be seen as the ego; that part of us that attempts to be in control. Perhaps this is a timely moment to introduce Pooh more formally as he appears for the first time in Winnie-the-Pooh. We find him momentarily in the outside world, bumping repeatedly down the stairs on the back of his head, held by one paw, under the control of Christopher Robin. We learn in this first paragraph that Pooh “feels that there really is another way if only he could stop bumping for a moment and think of it. And then he feels that perhaps there isn’t” (Milne, 1926, p. 1). Encapsulated in this short sentence we find a beautiful rendition of the human experience. A search for meaning, a deep knowing that there is another way outside the bounds of the repeated and mundane actions of daily life, a remembrance of an “essential or original image” (Hillman, 1996, p. 7). Individuation means becoming an individual through acceptance of one’s distinctiveness. This quality of uniqueness is discovered by seeking out a relationship with the superior archetype that Jung called the Self. It is worth noting here that Jung himself put forward the self as a paradox calling it both “an archetype amongst others and also standing for the totality of being” (Rowland, 2012, p.14). I would suggest that this “Bear of Very Little Brain” (Milne, 1926, p. 67) is in fact an embodiment of this paradox as he is simultaneously at the beginning, middle, and end of the path to individuation. A Taoist might describe Pooh as being an “Uncarved Block” for he possesses the capacity to just be. He is unable to describe being, “he just is it” (Hoff, 1982, p. 10). In this context the Bear holds the place of an “adept” – what the martial arts practitioner Bruce Lee called having the capacity of being “consciously unconscious” or “unconsciously conscious” (as cited in Le Grice, p. 76). Here we see the arrival of a “Strange Animal” whom Rabbit describes as “an animal of whom we had never even heard before! An animal who carries her family about with her in her pocket!” (Milne, 1926, p.83). To make sense of this new challenge to the ego, the aspects of the psyche that are known step into reconcile or compensate for the instability caused by the new stimulus. The “individual ego-consciousness is born from the Great Mother’s womb and sustained by her” (Le Grice, 2013, p. 196). The Great Mother is simultaneously nurturing and destructive; she is the giver of life, but can also “threaten the integrity of the conscious personality and the independence and ongoing development of the ego” (Le Grice, 2013, p. 196). As an Australian marsupial who is capable of carrying a number of offspring simultaneously in several different phases of their lives, Kanga embodies the Great Mother in her multiple aspects. Christopher Robin describes her as being “Generally Regarded as One of the Fiercer Animals” (Milne, 1926, p. 85). Roo is in the joey stage of development, an adolescent animal, spending time on the ground, partially autonomous and curious, roaming further afield over time, but always returning to the pouch when in danger. From a Jungian perspective, Roo represents the stage of psychic maturation where it is imperative that we resist the temptation to return “to the arms of the Great Mother” (Le Grice, 2013, p. 198) if we are to achieve selfhood. When Roo is kidnapped by the others, albeit under strict guidelines as outlined by the logical but misguided Rabbit, Kanga observes that “Christopher Robin would never let any harm happen to Roo” (Milne, 1926, p. 93). To fully engage with life we need to engage with our desires. The Great Mother is aware that the next stage of the child’s development requires interaction with desire and passion so that self-knowledge and discernment can be attained. Kanga operates at the deepest level of the anima as an expression of heart, that part of us that is commonly understood as “the living, pulsing emotional core within us” (Le Grice, 2013, p.203). Her goal is to guide the self to its ultimate destination. Hesse believed that our experience of literature is a “great and mysterious thing” that changes over time, as we develop our capacity to be more discriminating, “the more sensitively, and the more associatively we read” (as cited in Wolfe, 2007, p. 156). In psychological terms, as we age we bring to the familiar text the impact of our lived experiences. I often returned to books that I have read at significant times in my life, occasions when I faced a crisis, a crossroads, or even just sought out a much needed excursion into the land of enchantment, for as Moore (1992) wrote, “The soul has an absolute, unforgiving need for regular excursions into enchantment” (p. ix). After a recent period of immersion in the world of Jung and the complexities of the human psyche, it does not surprise me that I might return to a book that speaks to psyche’s intricate and miraculous psychological structure in such a tender and gentle way. Milne’s writing resonates across cultures and time as all great literary works do. “A great work of art is like a dream; for all its apparent obviousness it does not explain itself and is always ambiguous” (Jung 1950/1966, p. 104, CW 15, para. 161). This ambiguity allows for complexity, and the inherent uniqueness of the psyche. Heneghan (2013) writes of Milne’s masterly work that it captures a “special, intimate relationship between a child and landscape,” (para. 10) and indeed Pooh’s world resonates deeply with my early experiences of a home populated with animals and soft toys. From Heneghan’s environmental science viewpoint Pooh is a marker of our connection with place as “cradle and companion,” (para. 21) while from the Jungian perspective, he can be seen as a guide to the “fruit of individuation (Le Grice, 2013, p. 222). In retrospect, towards the end of his life Jung touched again on the idea that our view of life is a matter of temperament. Despite all he had discovered and learnt Jung was not capable of determining his own worth or worthlessness, and there was nothing he was quite sure about as he had no definite convictions (Jung, 1989, p. 358). As I wander the pathways of the Hundred Acre Wood I am in the company of others whose view of the world is wonder filled and simpleminded. Pooh is the true hero of Winnie-the-Pooh for he always moves towards life with a resounding yes. I appreciate the wisdom of the Bear and sense that he has found the meeting point of East and West that Jung often sought. In our modern world we are often urged to put aside the things of childhood if we are to become adults, but as Christopher Milne touches on in his memoir The Enchanted Places (1974), “It was here…I would find that splendour in the grass, that glory in the flower, that today I find no more” (as cited in Heneghan, 2013, para. 17). My current work as a clinical psychotherapist involves time sitting in the company of clients whose worldview is often pessimistic and filled with despair. Spending time with the Bear reminds me that my own worldview is far more hopeful and that the splendour in the grass is only a heartbeat away. Given that Pooh has been a guide for much of my life, it seems only fitting that I end this essay with a final observation from Milne’s last book on Pooh, The House at Pooh Corner (1928) that speaks directly to individuation as an integration of all the aspects of the psyche: “So they went off together. But wherever they go, and whatever happens to them on the way, in that enchanted place on the top of the Forest a little boy and his bear will always be playing” (p. 176). Abrams, M. (1971). Natural supernaturalism. Tradition and revolution in romantic literature. New York, NY: W.W. Norton & Company. Hillman, J. (1996). The soul’s code: In search of character and calling. New York, NY: Spring Publications. Hoff, B. (1982). The tao of Pooh. The principles of Taoism demonstrated by Winnie-the-Pooh. London, UK: Egmont. Jung C. G. (1966). The spirit in man, art, and literature. (R. F. C. Hull, Trans.). In The collected works of C. G. Jung (Vol. 15). Princeton, New Jersey: Princeton University Press. (Originally work published 1930). Jung C. G. (1978). Psychology and the East. (R. F. C. Hull, Trans.). In The collected works of C. G. Jung (Vol. 13). Princeton, New Jersey: Princeton University Press. (Original work published 1967). Jung C. G. (1989). Memories, dreams, reflections. (Rev. ed.). New York, NY: Vintage. Le Grice K. (2013). The rebirth of the hero: Mythology as a guide to spiritual transformation. London, UK: Muswell Hill Press. Milne, A. A. (1926). Winnie-the-pooh. London, UK: Methuen Children’s Books. Milne, A. A. (1928). The house at Pooh Corner. London, UK: Methuen Children’s Books. Moore, T. (1992). Care of the soul. A guide for cultivating depth and sacredness in everyday life. New York, NY: Harper Perennial. Rowland, S. (2012). The ecocritical psyche — Literature, evolutionary complexity and Jung. Hove and New York, NY: Routledge. Wolf, M. (2007). Proust and the squid. The story and science of the reading brain. New York, NY: Harper Collins. Lisa Schouw (BCHC, MA, CMPACFA) completed her M.A. in Engaged Humanities and the Creative Life, with an emphasis in Depth Psychology, at Pacifica Graduate Institute, USA. She has a particular interest in the part creativity plays in the individuation process. She presented at the IAJS Conference in Santa Fe 2016 and currently works in Australia as a clinical psychotherapist, theater maker, singing and voice coach, singer/songwriter, and corporate trainer.